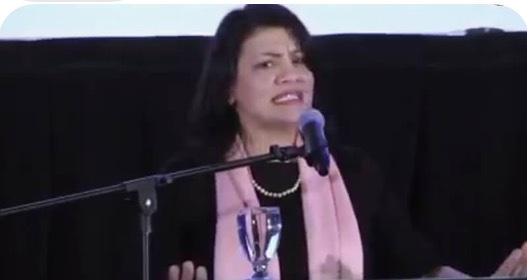 Radical Democrat Congresswoman Rashida Tlaib (MI) declared victory over the US government in a speech to terror-tied CAIR last month — the video just began making the rounds on social media earlier this week. Recall, The Gateway Pundit reported that Rashida Tlaib invoked the Muslim war cry of Allah in January at a reception for terror-tied CAIR shortly after she was sworn into Congress on a Quran. No American flag was seen in video taken of Tlaib’s speech in August.